The dual function of clothing: stand out from the others or, on the contrary, uniformity and disguising with the mass. This dual function is also found in the uniforms of military armies. At the beginning of the twentieth century the uniforms were very colorful to recognize the various regiments engaged in the fight and have a general picture altogether. At the dawn of the First World War the French Army was presented in red-blue color, while the British Army in khaki-colored uniforms. With what is considered the first modern war, it began to think of uniforms that could hide soldiers to the human eye. The first to do such studies were the French in 1915, thanks to a painter-soldier named Louis Guingot. 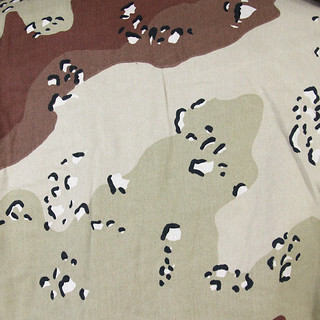 The first camouflage uniform (still French name) of the story was born. Over time, many variants of camouflage have been conceived, due to the surrounding environment (forest, grasslands, deserts or jungles), to the needs of the moment and also to the season. For example, there are military uniforms conceived only for the winter season: in the Second World War the Waffen-SS (military arm of the SS) had a uniform summer-autumn double face with the possibility of adding a winter camouflage. 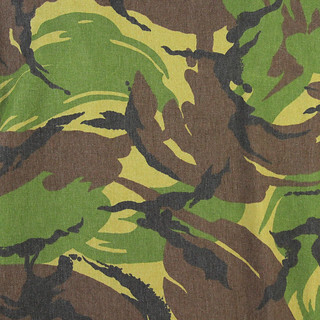 Germany was particularly active in the study of camouflage patterns: Professor Georg Otto Shick combining micro and macro elements conceived one of today's most copied camouflage in the world, the famous six-color Flencktarn. To produce uniforms with a six-color fabric, with a dense texture to be water repellent was expensive and in fact only a limited number were produced. To date the original SS Flecktarn jackets reach record quotes in the auctions, so much so that a real fake market has developed. Another famous German pattern of the time is the Splittermuster, characterized by cubic elements covered by dark dashes, which also appears in some scenes of "Bastards Without Glory" by Tarantino. 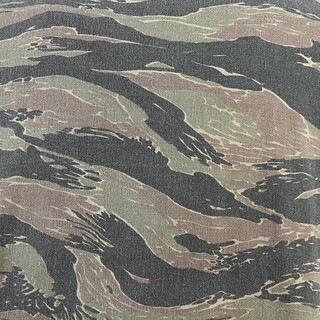 Curiosity, in the final stages of the conflict, Hitler's personal army wore an Italian camouflage, due to the confiscation by the Germans of many Italian camouflage drapes. 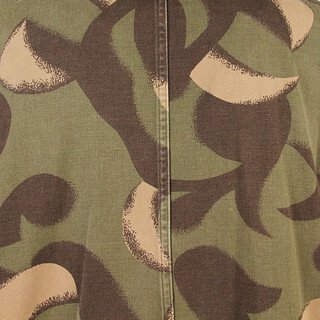 Camouflage patterns have broken into daily clothing in the late 1960s, when juvenile protest movements were dressed in military surplus. It was not difficult to see boys in camo cargo trousers, one of the most popular garments in camouflage theme. Often, today, they are in rip-stop fabric, a lightweight anti-tear cotton, a technique used initially for parachute canvases. In the 90s streetwear the camouflage patterns explode in full. 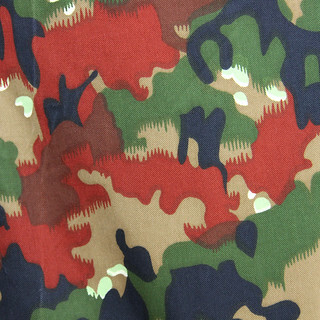 Maharishi, an English brand founded in 1994, has made camouflage its distinctive trait. A year before Nigo, a Japanese DJ-producer and partner in business with a certain Pharrell Williams, creates Bape (abbreviation of A Bathing Ape) that adopts for its collections a particular camouflage inspired by the already cited Flencktarn. Among the thousand options of fantasies and garments allow us to have a favourite: the cargo trousers in tigerstripe camo, a particular fantasy used in the dense forest in South Vietnam by the American Marines. You know, you must also specify in this case: of Tigerstripe camouflage were counted "only" 19 different typologies. 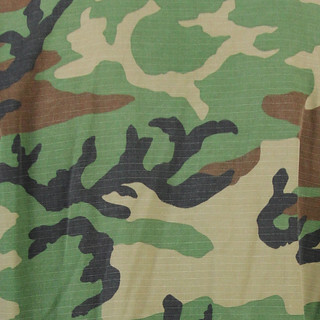 You can find a selection of military camouflage clothing in our e-shop clicking here.